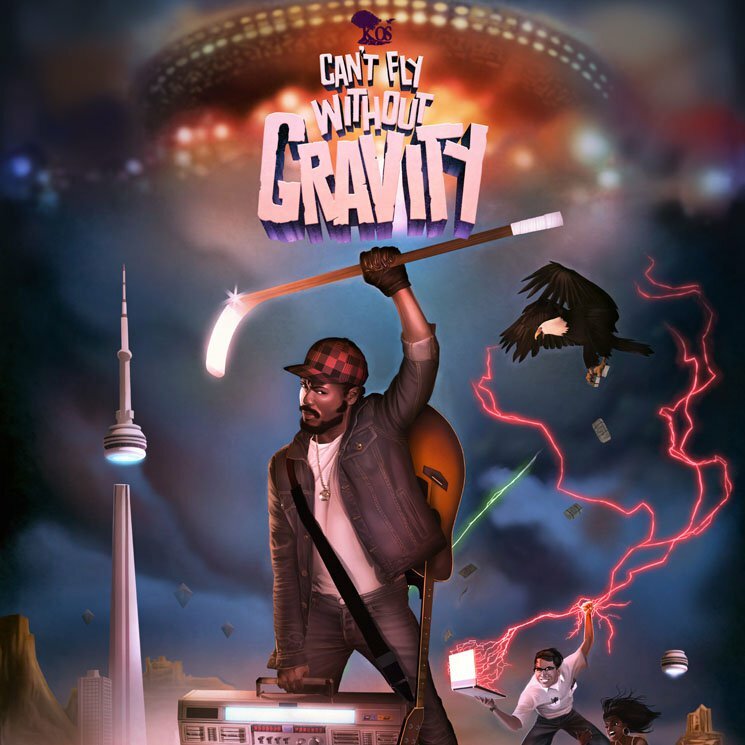 Can’t Fly Without Gravity, the sixth album from Toronto rapper and hip-hop artist k-os, is an impressive compilation of speedy rap lyrics, electronic beats, retro samples, jazzy keyboards and bold trumpets. The album is funky, fast, and dramatic, which is something expected considering k-os’ alternative approach to hip-hop and avoidance of the typical formulaic beats heard in top 40 playlists. The majority of the tracks play out with an even amount of zeal. However, comparing the slowed-down, retro crooner samples on track six, “Crucify,” with the revved-up punk sounds on track 12, “Steel Sharpens Steel (Still in Love),” one may find it hard to believe that both pieces come from the same album. While this demonstrates the range k-os is capable of covering in terms of genre, these differing pieces divide the album and disrupt the flow.